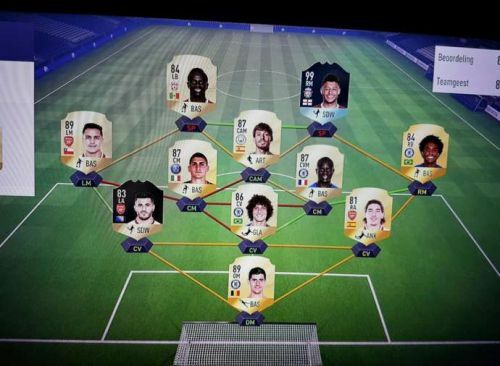 Liverpool midfielder Alex Oxlade-Chamberlain’s FIFA 18 Ultimate Team was revealed after one fortunate Reddit user went up against him in a match. One can tell that it is indeed Chamberlain’s Ultimate Team as it has a personalised blue card of the player himself. Every professional footballer who features in the game has the right to ask EA Sports for a personalised card with an overall rating of 99. Last year in October, Tottenham Hotspur star Dele Alli revealed his FIFA 18 Ultimate Team. Alli took his very own 99-rated card in the line-up alongside Lionel Messi, Cristiano Ronalod and, of course, teammate Harry Kane. The team also featured the likes of Manuel Neuer, Sergio Ramos and Luka Modric, thereby indicating that he didn’t feel the need to just stick with Premier League players. 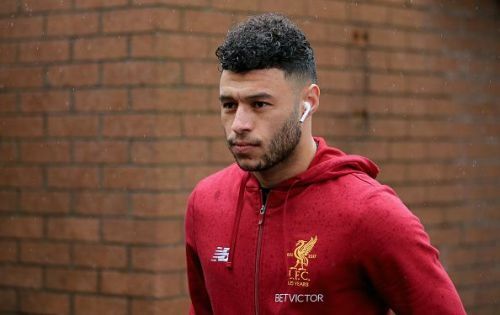 Oxlade-Chamberlain, on the other hand, has opted for an all-Premier League side except for one player – Marco Verratti. The former Arsenal man has chosen the 3-5-2 formation with himself and Sadio Mane up front. David Silva, Alexis Sanchez, Willian, N’Golo Kante and Verratti make up the midfield. Sead Kolasinac and Hector Bellerin partner David Luiz in defence. Chelsea’s Thibaut Courtois is the man between the sticks. Given that the Redditor was winning 1-0 before the professional footballer quit (or so the Redditor claimed), Ox definitely needs to work on his FIFA 18 skills. Chamberlain's FUT squad looks pretty solid on paper but he has made some rookie mistakes. Most FIFA veterans will know that team chemistry is one of the most important things when it comes to building a squad. By including Verratti, Chamberlain has made a complete mess of it and on top of it, most of the players in the team are out of position.